Here is a professional list of my past and current activities. I am a Computer Engineer from Rome, specialized in high performance and critical software development in C++. For most of the day, my C++ has been serving the Ferrari F1 Racing Team (Scuderia Ferrari) since 2011. Behind the scenes, I define myself a “Community Hacker” because I’m very active in the tech communities ecosystem in Italy and abroad. Since 2016 I have received (3 times) the Microsoft MVP award for my community activies. Marco is a fantastic speaker. He is passionate. He captures his audience with a balanced mix of technical facts and sense of humour. His examples and stories make concepts clear, and he focuses on explaining the ideas before the details. He has all these features, and he puts them in every single sentence. I love telling stories, I love interacting with people attending. My stories are not only about technical things but also about personal development and lessons I have learned. I have given talks at many famous events, such as Microsoft Community Days, Future Decoded, Italian Agile Day, Codemotion, QtDay. 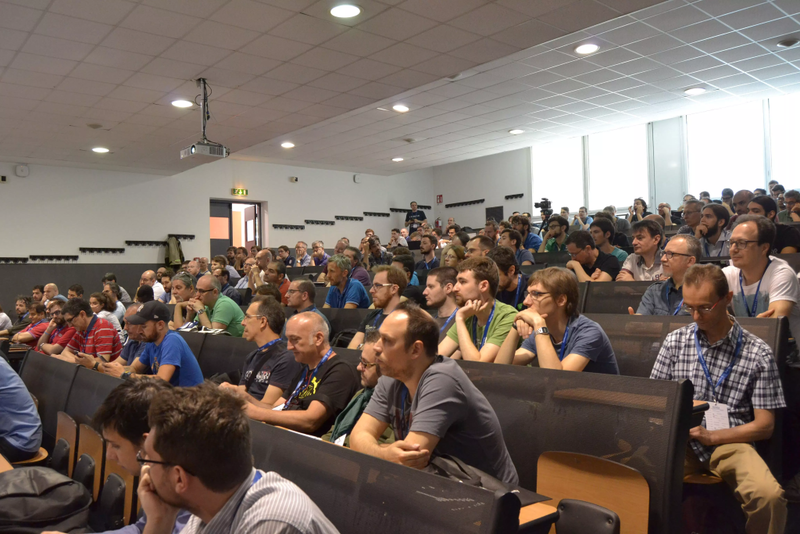 I’m also used to speaking at events organized by my own community, the Italian C++ Community. For some of the talks that follow I got some feedback (generally from 1 to 5 ). For the others, the event did not have a way to rate talks or the results are not public. Some events I spoke at provided a joind.in page. You can check out my Joind.in public profile for a quick overview. C++ in 2015. Why should we still care about? Refactoring legacy C++ code to modern C++. I’m used to organizing events, meetups and other activities. 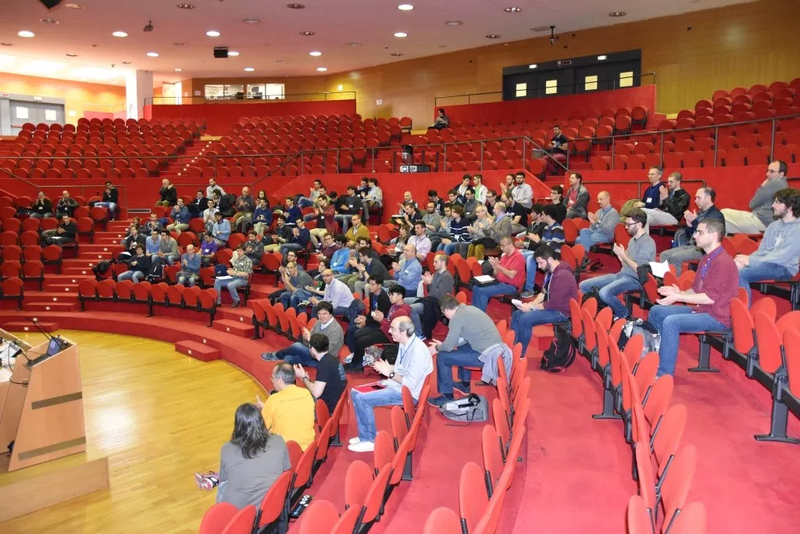 First of all as the leader of the Italian C++ Community and Coding Gym, in addition, I’m involved in supporting and helping a few other user groups. I am a “worker” of ConoscereLinux and I am part of the leading staff of Modena Tech Scene. 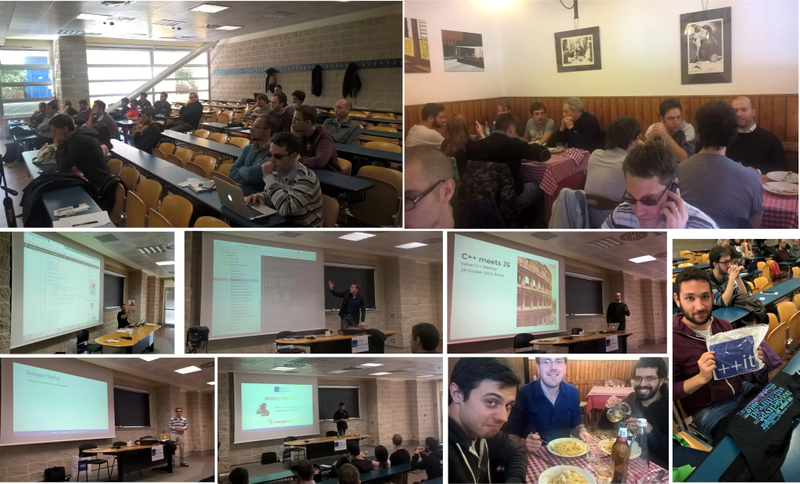 I have organized and promoted monthly C++ meetups in Modena, hosted at MakeIt and ConoscereLinux. Every meetup consisted in 2 hours of technical contents (up to the speaker) and networking dinner afterwards. I coordinated the organization of the third edition of the C++ Day, an event fully dedicated to C++. 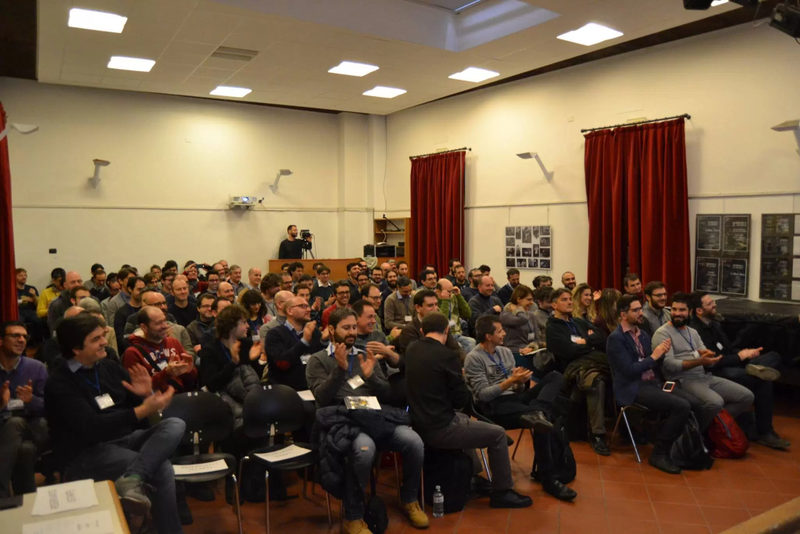 The event took place at University of Pavia and was co-organized with Riccardo Brugo, Federico Pasqua and the Physics Department of University of Pavia. 110 attendees (150 registered people - ~26% drop). Speakers: Alberto Barbati, Alberto Bignotti, Manlio Morini, Fabrizio Radaelli, Giorgio Zoppi, Michele Caini, Sebastiano Galazzo, Federico Pasqua, Alfio Lazzaro. Networking (3 hours) breaks and lunch. I coordinated the organization of the third edition of the Italian C++ Conference, the only conference in Italy entirely dedicated to C++. 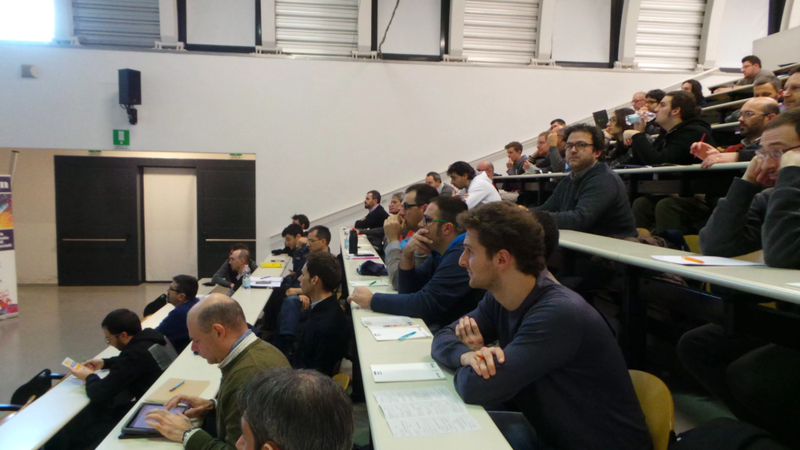 The event took place at University “Bicocca” of Milan. This event was the biggest and the most important I have ever organized. 200 attendees (250 registered people - ~20% drop). Speakers: Alberto Barbati, Anastasia Kazakova, Diego Rodriguez Losada, Paolo Severini, Vittorio Romeo, Denis Panin, Felix Petriconi, Emanuele Bartolesi, Raffele Rialdi. Sponsors: Bloomberg, JFrog/CONAN, AIV, JetBrains, Aresys, KDAB, Recognition Robotics, Sigeo, Develer, COMELZ. My staff included: Alessandro Vergani, Gian Lorenzo Meocci, Marco Foco, Guido Pederzini, Illya Dudchenko, Raffaele Rialdi. 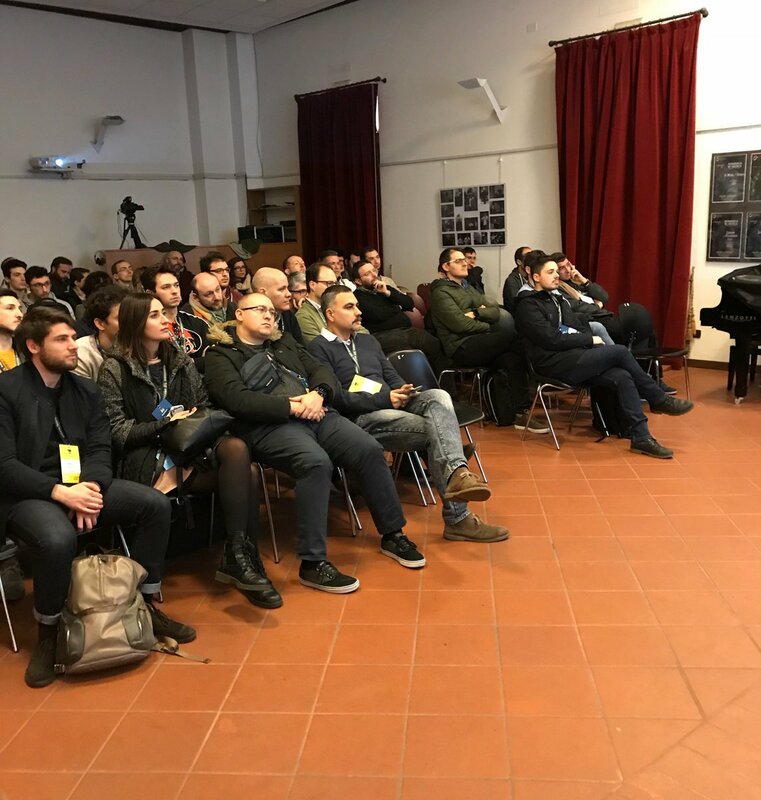 I co-organized the first Modena Tech Summit, the first free conference in Modena about IT and Tech where professionals, companies and local communities meet and share knowledge. The event took place at “Centro Culturale Giacomo Alberione”, an historical location in the lovely center of Modena. 75 attendees (100 registered people - ~25% drop). 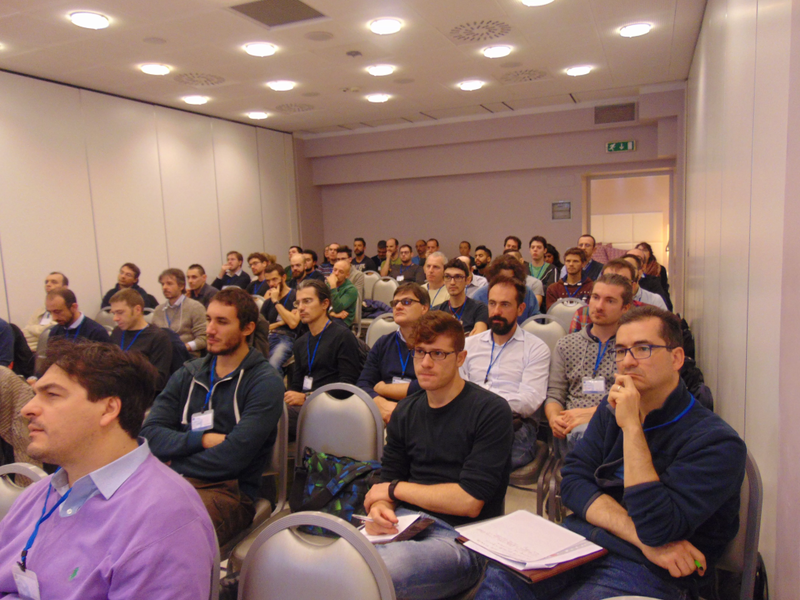 I coordinated the organization of the second edition of the C++ Day, a free event entirely dedicated to C++ in the italian language. The event took place at “Centro Culturale Giacomo Alberione”, an historical location in the lovely center of Modena. 110 attendees (120 registered people - ~8% drop). Speakers: Carlo Pescio, Daniele Pallastrelli, Stefano Cristiano, Alberto Bignotti, Sebastiano Galazzo. Sponsors: Recognition Robotics, Sigeo srl, Elettric80. My staff included: Guido Pederzini, Alessandro Vergani, Illya Dudchenko. 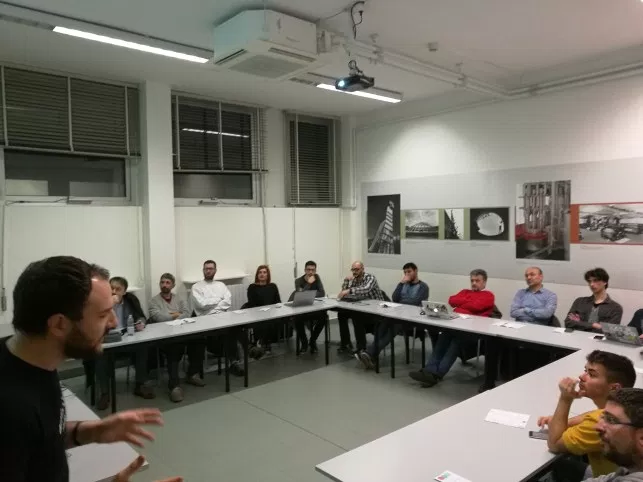 Hosted a talk about Artificial Intelligence given by Sebastiano Galazzo, (on the day of the event) the only Italian person holding a Microsoft MVP title on “AI” category. I coordinated the organization of the second edition of the Italian C++ Conference, the only conference in Italy entirely dedicated to C++. The event took place at University “Bicocca” of Milan. 160 attendees (220 registered people - ~28% drop). International speakers: Bartosz Milewski, Phil Nash, Jens Weller, Dietmar Kühl. Italian speakers: Davide Di Gennaro, Raffaele Rialdi, Carlo Pescio, Paola Presutto, Stefano Cristiano. My staff included: Raffaele Rialdi, Franco Milicchio, Alessandro Vergani, Gian Lorenzo Meocci, Marco Foco, Guido Pederzini, Illya Dudchenko. This was the first community-event in Italy where Microsoft Italy has been hosted to talk about Diversity and Inclusion. I organized a meetup with the special guest Bartosz Milewski, hosted by Conoscere Linux, in Modena. Bartosz shared his vision and predictions on “the Future of Programming”. 45+ attendees. I moderated an “evening mini-meetup” of the Italian C++ Community, hosted by Conoscere Linux, in Modena. 15+ attendees. I moderated an interactive discussion on The C++ Triad: iterators, containers and algorithms, by explaining the basic concepts and solving live programming challenges. I wrapped up the contents here. 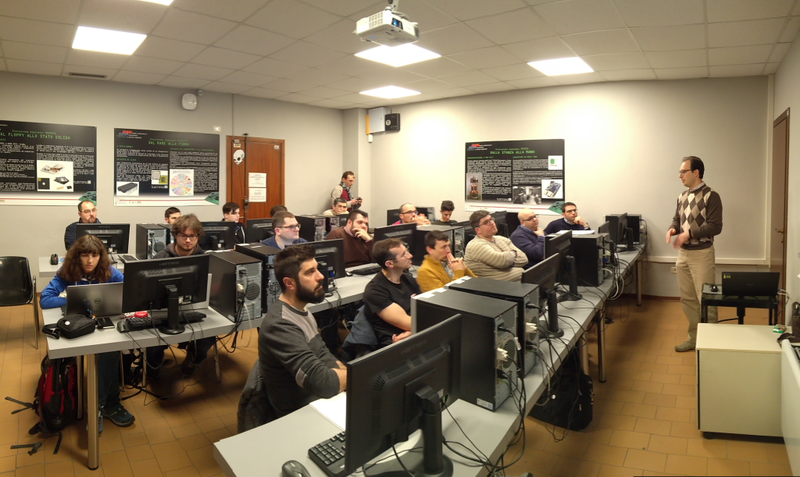 I moderated an “evening mini-meetup” of the Italian C++ Community, hosted by XPUG Bologna, in Bologna. 20+ attendees. I moderated an interactive discussion on C++17 for the daily job, by showing live examples of the most interesting features of C++17 online-compiled and run on GCC, Clang and Visual C++. I wrapped up the contents here. 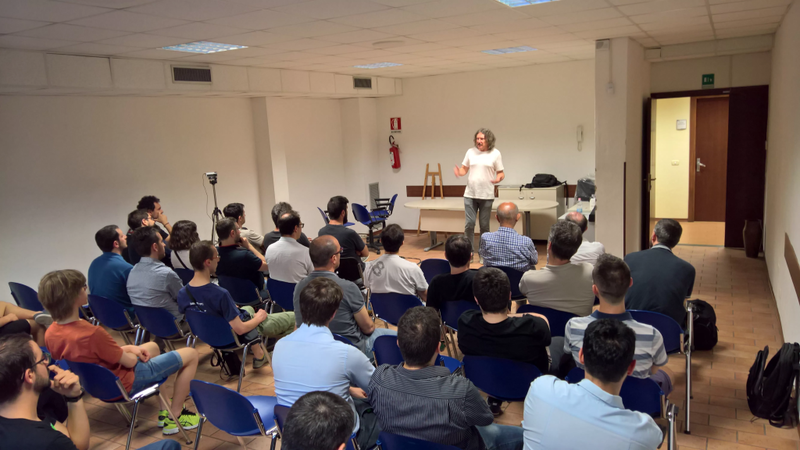 I moderated the first “evening mini-meetup” of the Italian C++ Community, hosted by Conoscere Linux, in Modena. 15+ attendees. 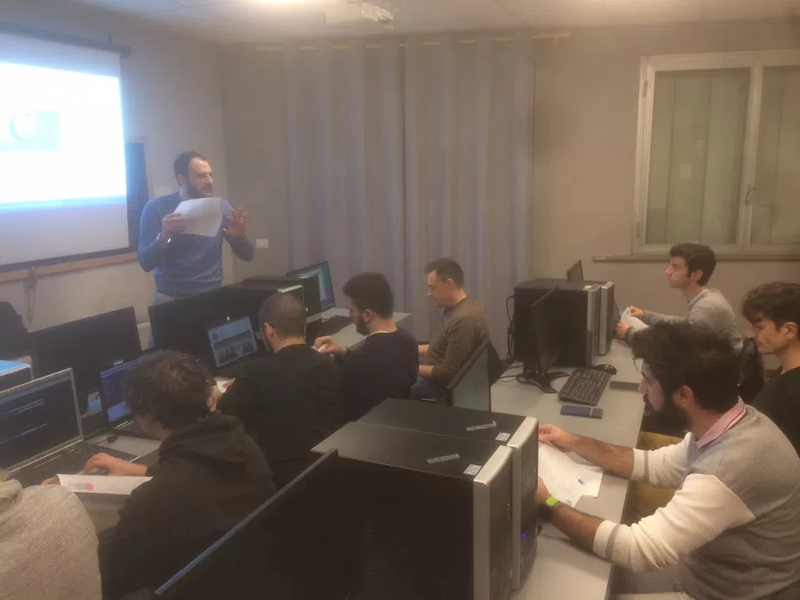 I coordinated the organization of the 1st edition of the C++ Day, an event fully dedicated to C++ made by the Italian C++ Community. The event took place at Hotel Londra, in Florence. 80+ attendees (100+ registered people - ~20% drop). My staff included: Raffaele RIaldi, Franco Milicchio, Stefano Saraulli, Gian Lorenzo Meocci, Marco Foco. I coordinated the organization of the 1st edition of the Italian C++ Conference, the first and only Italian conference fully dedicated to C++. The event took place at University “Bicocca”. 100+ attendees (130+ registered people - ~22% drop). Social story (tweets, pictures, etc). My staff included: Raffaele RIaldi, Franco Milicchio, Alessandro Vergani, Gian Lorenzo Meocci, Marco Foco, Paolo Severini. I coordinated the organization of a half-day C++ meetup in Rome. I coordinated the organization of a full-day C++ meetup in Florence. 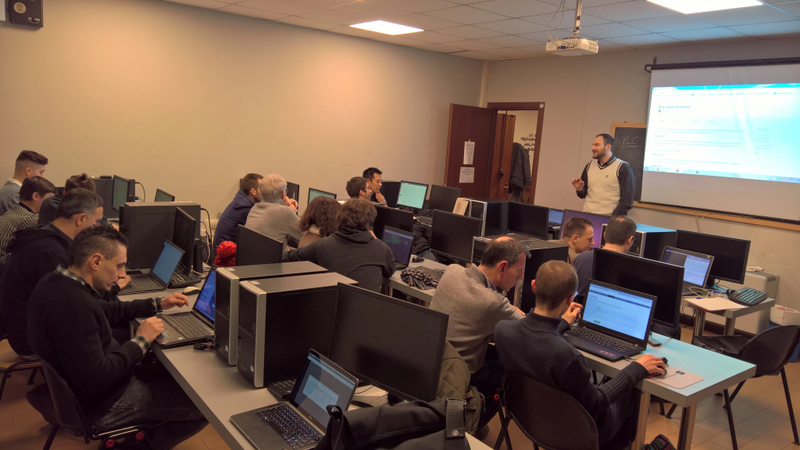 I co-organized a full-day C++ meetup in Pordenone with Marco Parenzan. 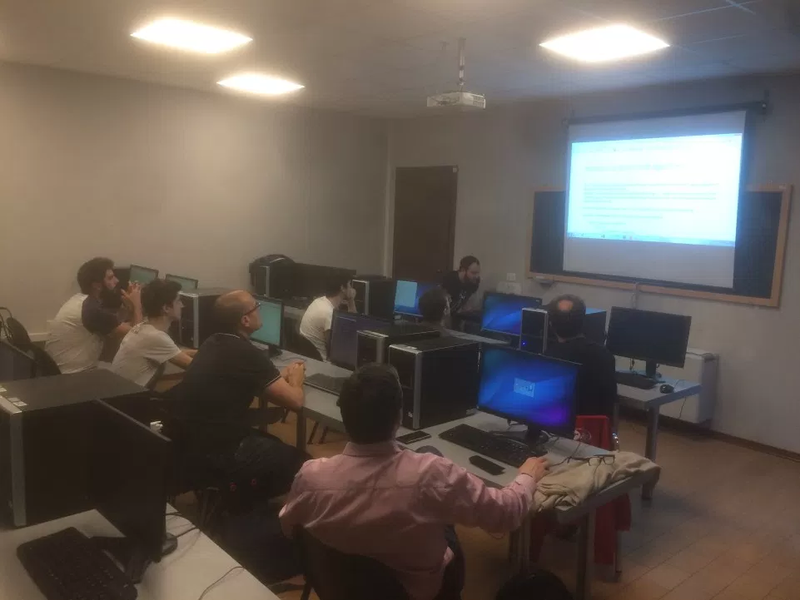 I co-organized a C++ meetup in Bologna with Gianluca Padovani. Special guest: Bartosz Milewski. 50+ attendees. 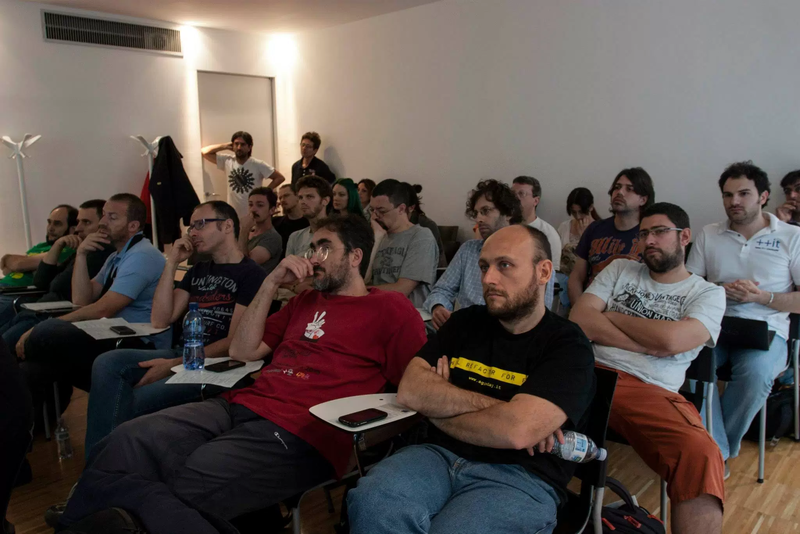 I organized the first meetup about C++ in Italy. Milan, June 2014. Feedback. 30+ attendees. In 2016 I created Coding Gym, a monthly programming lab format developed to practice programming and soft-skills. When people ask me “what is Coding Gym?”, I’m used to answer “at Coding Gym, we practice expressing ourselves through programming and collaboration”. 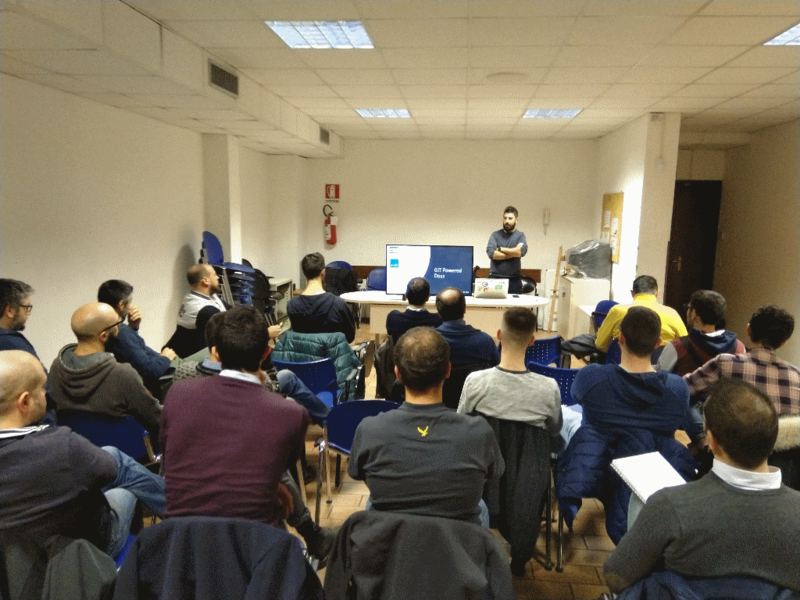 In 2016, I started Coding Gym in Modena and since 2018 I have been working to bring it in other cities by founding and leading a community of “trainers”. Currently, Coding Gym is active in Modena, Rome, Milan, Turn, Padua, Bari and Barcelona. The official website contains more details, next and past events, and pictures. In 2012, I was the first Italian to publish an article on isocpp.org, the official C++ Standard Foundation website. Since 2014 I have joined the staff of isocpp.org editors and I have started helping to moderate the international C++ online community. My professional blogging activity started in 2011. Refer to my Github page for more details. Obbelisco (TBR) - Unity3D racing game set in Rome EUR, inspired by Italian movie: “Velocità Massima”. Co-developed with a friend of mine who wants to stay anonymous.